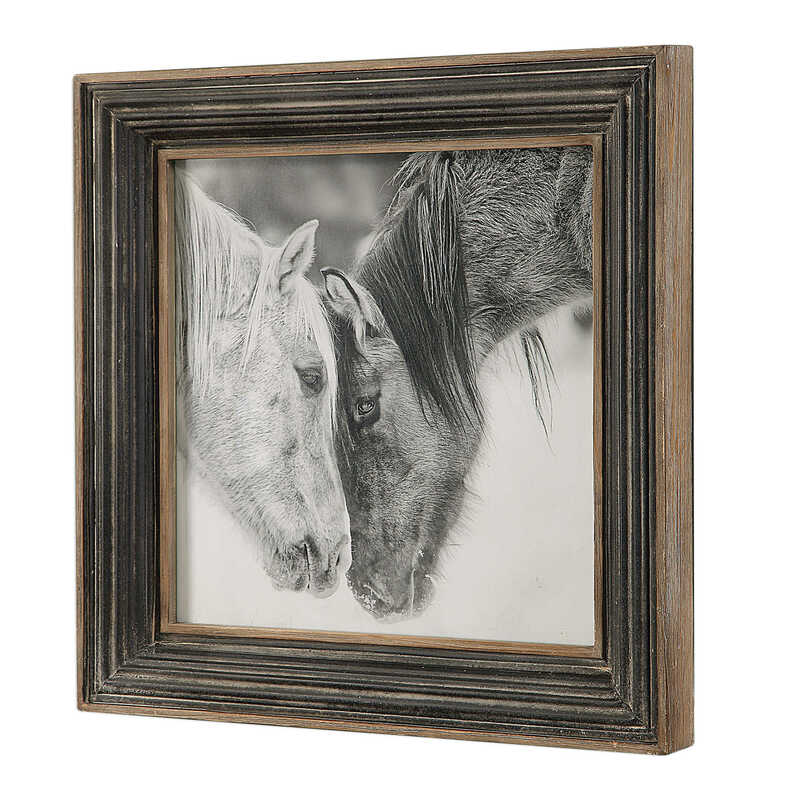 Rustic charm is added to a design with this black and white printed photograph. 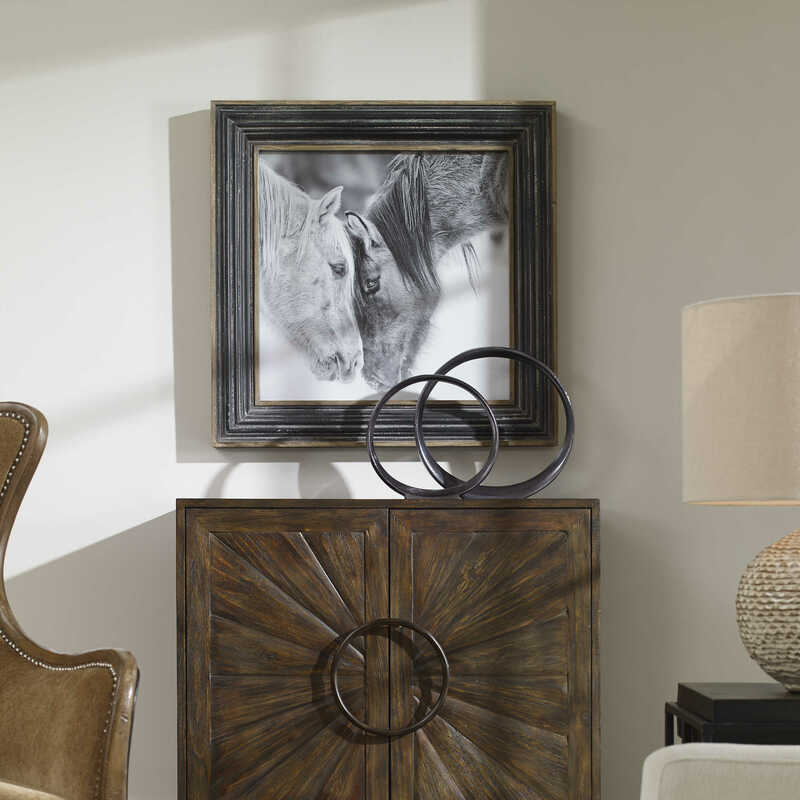 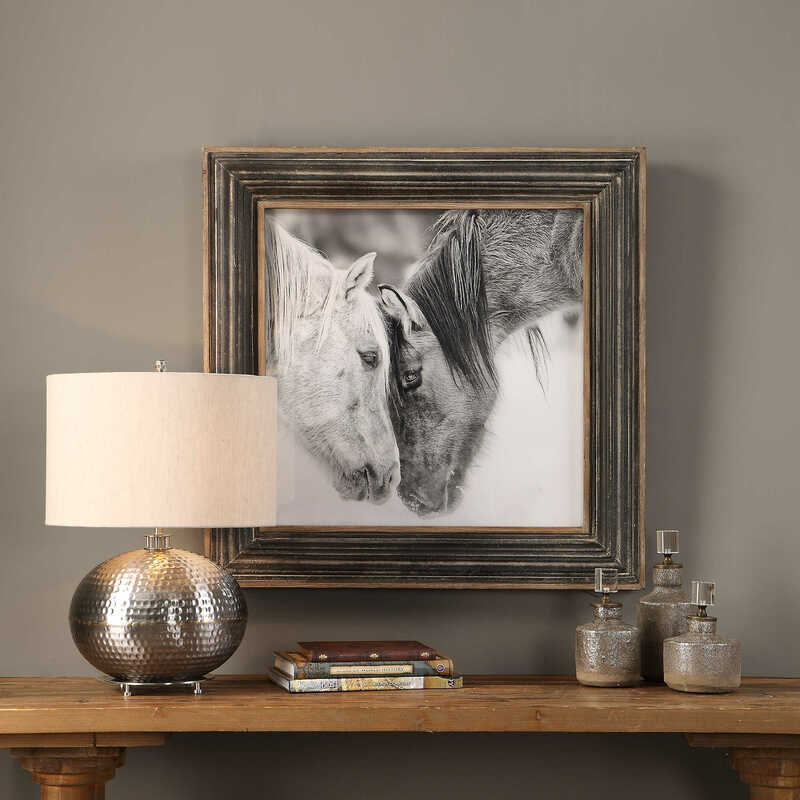 The transitional animal print is surrounded by a distressed wood and metal frame with corrugated style ridges. 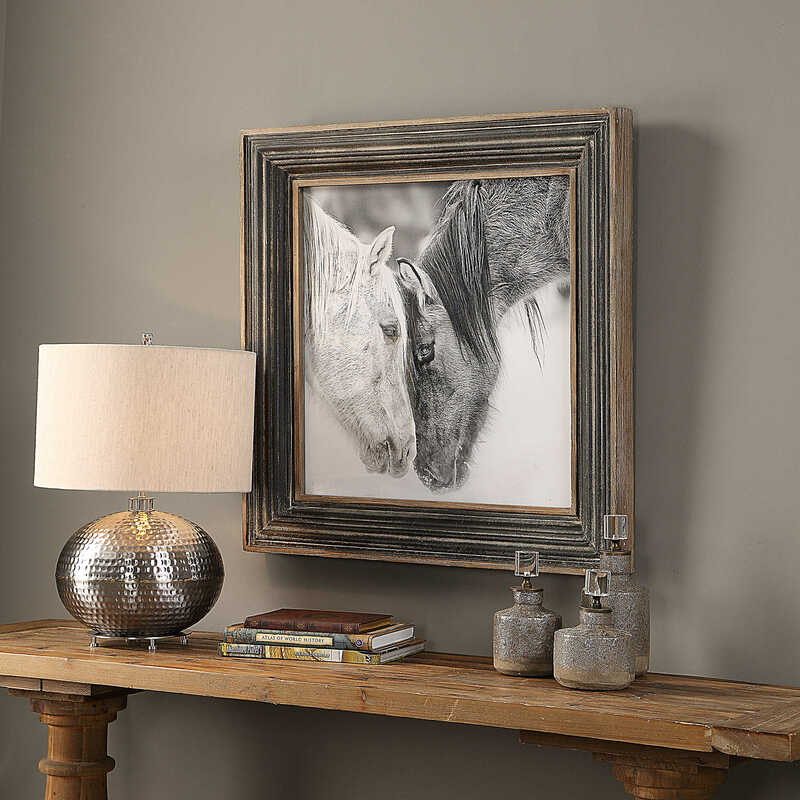 A distressed black finish and gray wash adds dimension to this piece. 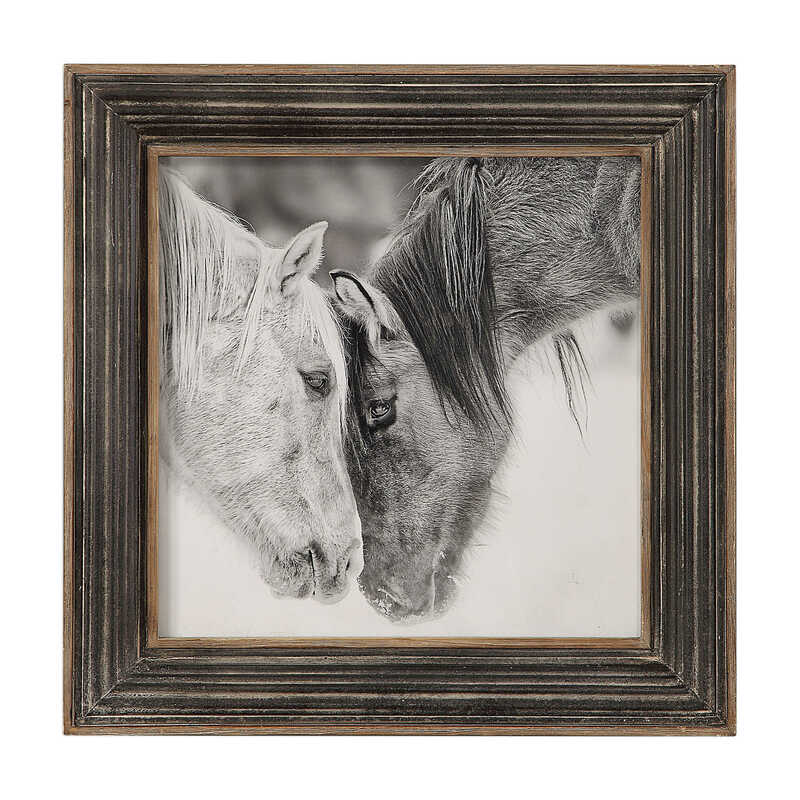 This print is placed under protective glass.